This dimension expresses the degree to which the less powerful members of a society accept and expect that power is distributed unequally: beliefs about the appropriate distribution of power in society. The fundamental issue here is how a society handles inequalities among people. People in societies exhibiting a large degree of Power Distance accept a hierarchical order in which everybody has a place and which needs no further justification. In societies with low Power Distance, people strive to equalise the distribution of power and demand justification for inequalities of power. China and Saudi Arabia are countries with a high Power Distance index. The Individualism/Collectivism dimension is about the relative importance of individual versus group interests. The high side of this dimension, called individualism, can be defined as a preference for a loosely-knit social framework in which individuals are expected to take care of only themselves and their immediate families. Its opposite, collectivism, represents a preference for a tightly-knit framework in society in which individuals can expect their relatives or members of a particular in-group to look after them in exchange for unquestioning loyalty. A society’s position on this dimension is reflected in whether people’s self-image is defined in terms of “I” or “we.” The USA is considered as one of the most individualistic countries in the world. The Masculinity/Femininity dimension is about what values are considered more important in a society. 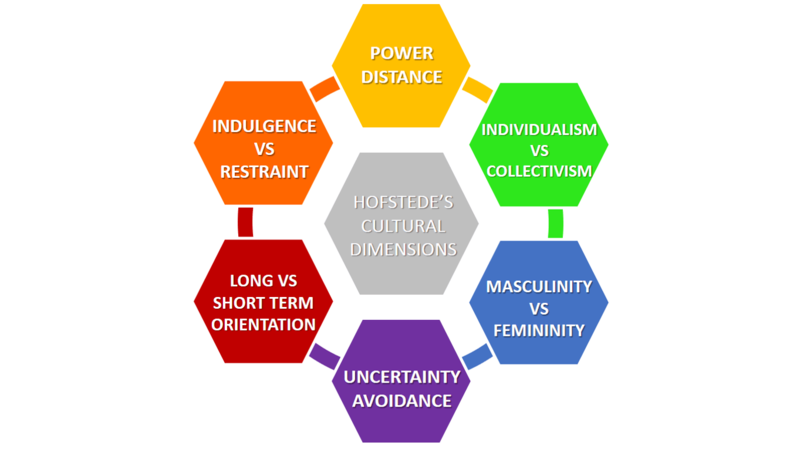 The Masculine side of this dimension represents a preference in society for achievement, heroism, assertiveness and material rewards for success. Society at large is more competitive. Its opposite, femininity, stands for a preference for cooperation, modesty, caring for the weak and quality of life. Society at large is more consensus-oriented. In the business context Masculinity versus Femininity is sometimes also related to as “tough versus tender” cultures. Japan is considered to be a very masculine country, whereas Scandinavian countries such as Norway and Sweden are considered highly feminine. The Uncertainty Avoidance dimension expresses the degree to which the members of a society feel uncomfortable with uncertainty and ambiguity. In addition its impact on rule making is taken into account. The fundamental issue here is how a society deals with the fact that the future can never be known: should we try to control the future or just let it happen? 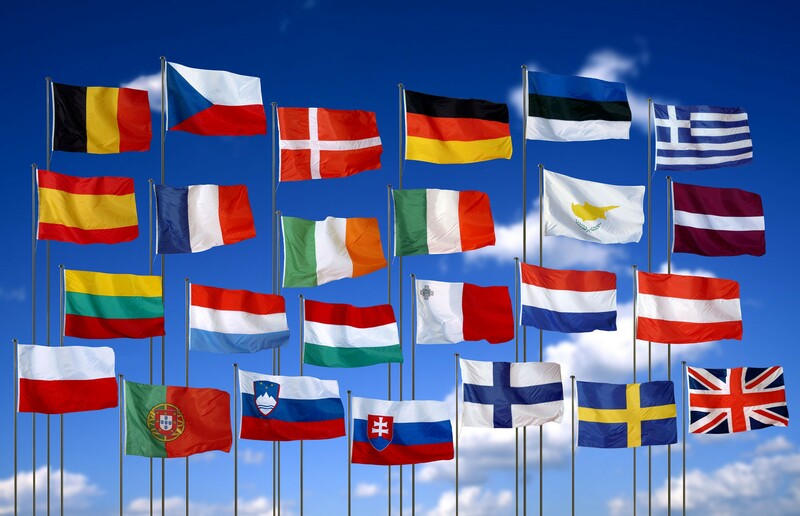 Countries exhibiting a high Uncertainty Avoidance maintain rigid codes of belief and behaviour and are intolerant of unorthodox behaviour and ideas. These countries often need many rules to constrain uncertainty. Countries with a low Uncertainty Avoidance index maintain a more relaxed attitude in which practice counts more than principles, tolerance for ambiguity is accepted and the need for rules to constrain uncertainty is minimal. South American countries such as Chile, Peru and Argentina are highly uncertainty avoiding countries. Every society has to maintain some links with its own past while dealing with the challenges of the present and the future. Societies prioritize these two existential goals differently. Countries that score low on this dimension, for example, prefer to maintain time-honoured traditions and norms while viewing societal change with suspicion. They are past and present oriented and value traditions and social obligations. Countries with cultures that scores high on this dimension on the other hand take a more pragmatic approach: they are future oriented and encourage thrift and efforts in modern education as a way to prepare for the future. Asian countries such as China and Japan are known for their long term orientation. Morocco is a short term oriented country. The Indulgence dimension is a relatively new dimension to the model. This dimension is defined as the extent to which people try to control their desires and impulses, based on the way they were raised. Relatively weak control is called Indulgence and relatively strong control is called Restraint. Cultures can, therefore, be described as Indulgent or Restrained. Indulgence stands for a society that allows relatively free gratification of basic and natural human drives related to enjoying life and having fun. Restraint stands for a society that suppresses gratification of needs and regulates it by means of strict social norms. Steers, R.M. et al. (2013). 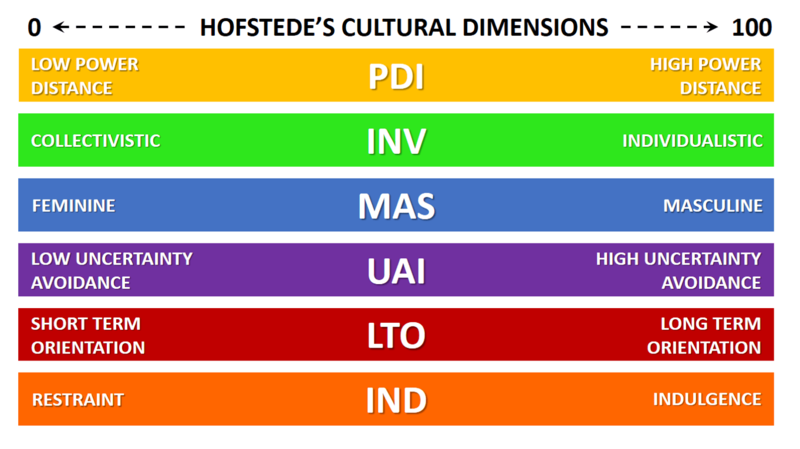 Management Across Cultures: Developing Global Competencies. Cambridge University Press.